Paper presented on October 17, 2014 by Rex Welshon at What is Liberal Education For? : a conference at St. John's College on the 50th Anniversary of the Santa Fe campus. Meem Library has been given permission to make this item available online. 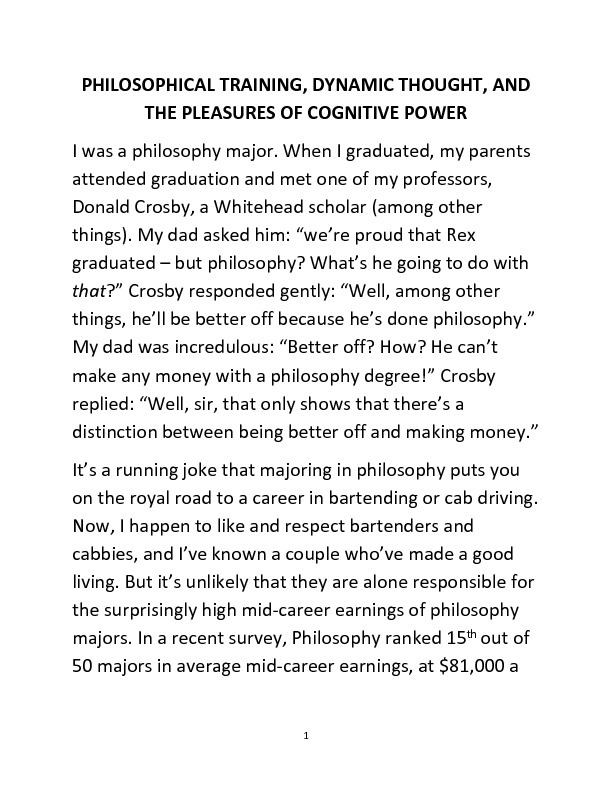 Welshon, Rex, 1955-, “Philosophical training, dynamic thought, and the pleasures of cognitive power,” St. John's College Digital Archives, accessed April 24, 2019, http://digitalarchives.sjc.edu/items/show/675.